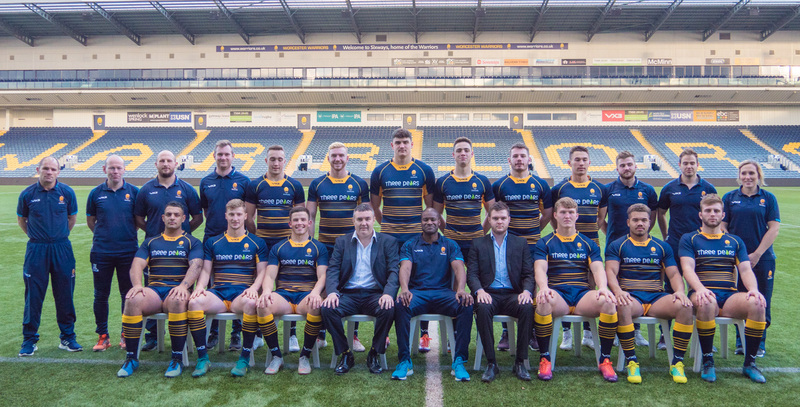 The Warriors Senior Academy is the next step in the development of players who have been identified as having the potential to progress as a professional and eventually represent the Club at first-team level. Generally these players will be 18 to 24-years-old and will have demonstrated the necessary skill levels and mental aptitude to succeed at a higher level throughout their previous rugby education. The next step involves training on a full-time basis alongside the first-team, not only to increase their physical development and hone technical skills, but also to further solidify their perspective of what it takes to become a part of the senior squad. Players will follow a full-time training programmes and will receive specific individual support to enhance their rugby development. Each player will have a playing programme through the Premiership Shield or as part of a Championship, National 1 or National 2 club as a dual registered player. Players will then often gain valuable first-team experience in the Gallagher Premiership, European Challenge Cup and Premiership Rugby Cup alongside experienced professionals. This process will hugely aid their rugby development. Senior Academy players are resourced almost solely from Warriors’ Player Development Groups. However, on occasion players will be recruited externally straight into the Senior Academy set-up.